The history of the Zohar is everything you would expect of a mystical text—an account filled with coded mysteries, secret revelations, and numerous turns and riddles. This timeline offers a comprehensive overview of the Zohar’s notable milestones throughout history. It begins two thousand years ago, just after the destruction of the Second Temple in Jerusalem. Rav Shimon bar Yochai was chosen to reveal the Zohar. He and Rav Elazar, his son, hid in the ground, in a cave for 13 years. Rav Abba concealed the wisdom in writing the physical book of the Zohar. Rav Shimon bar Yochai was visiting Rome when the Roman Emperor Marcus Aurelius’ daughter fell ill, Rav Shimon bar Yochai healed her and, in turn, a set of decrees issued against the Israelites by Rome was annulled. Rav Shlomo Yitzhaki (Rashi), famed as the author of the first comprehensive commentaries on the Torah, points out that the word used in the Torah to describe the veil that conceals this beaming Zoharic radiance of Moses’ countenance is actually an Aramaic word (masveh)—not Hebrew. Here we have an Aramaic veil concealing a Divine Light that is referred to as Zohar, a precise parallel itself to the Aramaic book called Zohar. Medieval kabbalist and astronomer Rav Abraham Ibn Ezra points out that Moses’ face radiated after receiving the second Tablets; a phenomenon that did not occur with the first Tablets. Moreover, Rav Ibn Ezra utilizes the word Zohar to describe the Light on Moses’ face. The Zohar lay concealed. Many, including Pope Innocent III, Rav Abraham ben David and Joachim of Fiore, predicted the Messiah and the Final Redemption to occur around this time. Moses De Leon publishes Zohar booklets for distribution. Rav Joseph Halevi tested De Leon. He claimed that he lost his copy of the manuscript and asked De Leon to write him a new one. De Leon reproduced it exactly. The influence of the Zohar, Rav Shimon, and the emergence of Kabbalah in the Middle Ages can be seen to this very day. The Christian scholars, philosophers, and scientists during the Renaissance and the age of Scientific Revolution were students of kabbalists. Rabbi Avraham Zacuto’s Sefer Yuhasin (Book of Genealogies) contains “a single fragmentary piece of evidence” concerning the origins of the Zohar. This evidence comes in the form of testimony by the Kabbalist Rav Isaac of Acre, in the thirteenth century, who was so moved by the heavenly power of the Zohar’s text that he traveled to Toledo to inquire about its origins. Rav Isaac said that the Hebrew sections of the Zohar were forged and that the Aramaic verses were from the hand of Rav Shimon bar Yochai. Johannes Reuchlin delved into kabbalistic study with great fervor, producing written works in which he credited Kabbalah as the prime influence and source of wisdom for the great minds of history, including Pythagoras. He believed that all Christians should learn Aramaic and Hebrew so that they could study the Zohar and other great kabbalistic texts. Count Giovanni Pico della Mirandola of Florence is generally credited with injecting the mystical teachings of kabbalistic wisdom into the very nucleus of the Italian Renaissance, planting a seed that would blossom into what became a sudden eruption of scientific advancement and discovery. Michelangelo lived with and was supported by the famous Medici family. Lorenzo Medici literally controlled the city and he gathered together great minds and great artists, many of whom studied the Zohar to help enrich Florence. Christopher Columbus and Rav Abraham Zacuto were influenced by the Zohar, with its mention of a round world. After the expulsion of the Jews from Spain, the fountainhead of kabbalistic activity moved to the mystical town of Safed, located in Northern Israel amid the historic mountains of Galilee. Paracelsus credits the ancient teachings of Kabbalah as the foundation of all his knowledge. John Dee, one of the most brilliant minds during the age of Queen Elizabeth l, was proficient as a renowned mathematician, geographer, astronomer, astrologer, scientist, and personal adviser to Queen Elizabeth. According to Deborah Harkness, Professor of History at the University of Southern California, Dee was convinced that Kabbalah could reveal the hidden truth about the natural world through hidden messages that God embedded into this physical reality. He looked to Kabbalah as the singular way to reconcile and unite all the physical laws of the natural world with the spiritual laws that govern the metaphysical reality. Rav Isaac Luria (the Ari) lived in Safed where he decoded the Zohar through his famous discourses. The Ari’s teachings had a profound effect that contributed significantly to the Scientific Revolution. Rav Chaim Vital, the Ari’s disciple, committed the Ari’s oral teaching to writings with his son Rav Shmuel Vital, thus giving birth to what is now known as Lurianic Kabbalah. 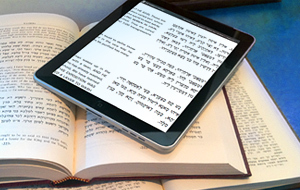 The Zohar was printed for the very first time. Ironically, it was the Catholic Church that contributed to the broad circulation of the Zohar and kabbalistic wisdom. At a time when the Roman Inquisition and the destruction of Jewish books were taking place, Pope Paul IV (1476- 1559) himself gave his approval to the publication of the Zohar, which rolled off the printing presses. The Zohar had a profound influence on many of the greatest scientists and mathematicians of the 16th and 17th centuries— a time when the lines between philosophy and science, physics and metaphysics, were virtually non-existent. Sir Isaac Newton’s view of the Bible as a cosmic code or cryptogram was congruent with the views of the kabbalists throughout history. It’s worth noting that Newton went to the trouble of learning the Hebrew language so that he could extract these great kabbalistic secrets from the scriptures. 17th-centruy German scientist Gottfried Leibniz was introduced to Kabbalah by Francis van Helmont, the editor of the Latin translation of the Zohar, Kabbalah Denudata, which profoundly influenced Leibniz’s philosophy and views concerning the nature of reality and the structure of the cosmos. Knorr von Rosenroth translated the Zohar and the writings of Kabbalist Rav Isaac Luria into Latin, producing Kabbalah Denudata (Kabbalah Unveiled). Like Pico and Reuchlin, von Rosenroth considered Kabbalah to be the true ancient wisdom given to Moses on Mount Sinai. Rav Moshe Chaim Luzzatto (the Ramchal) worked on a Second Zohar, which delves deeper into the secrets hidden inside the Zohar, but had to bury his writings (or have them burned by Christians) because of threats from rabbis of his day. Reverend Ezra Stiles was president of Yale College between 1778 and 1795. In 1773, Stiles befriended the Sephardic Rav Raphael Haim Isaac Carigal who instructed Stiles in Hebrew, and was amongst a few rabbis who nurtured in Stiles a fascination with the Zohar and kabbalistic wisdom. Rav Carigal also delivered and published the first ever rabbinical sermon in America, three years before the United States was officially founded. It was on the holiday of Shavuot, which commemorates the actual date of the Revelation event on Mount Sinai. Rav Hayim Joseph David Azulai (the Chidah) in his manuscript, Shem haGedolim, states there is yet another version of the origins of the Zohar, which concerns a king who ordered an excavation in search of treasure, but instead found the Zohar. It was brought to the wise men of Christendom, who failed to decipher it. So they brought the enigmatic manuscript to the hub of kabbalistic study, Toledo, Spain, where it came into the hands of Moses De Leon. Thomas Alva Edison also drew on Kabbalah and shared its views on the fundamental nature of reality. Edison believed that the building blocks of reality were not physical entities but rather fields of energy imbued with consciousness, and thus were the source of human consciousness. He said that chemistry could, indeed, prove the existence of God. Edison joined the Theosophical Society whose members studied Kabbalah and the Zohar. Rav Ashlag opened the first ever Kabbalah Centre in Jerusalem in 1922. Rav Ashlag decided it was time that Kabbalah and Zohar were revealed to everyone and wrote the Sulam to the Zohar. Rav Ashlag’s disciple and successor, Rav Yehuda Tzvi Brandwein, helped complete and publish Rav Ashlag’s monumental Hebrew translation and commentary. Rav Brandwein believed—as did the kabbalists before him—that the dissemination of the Zohar would remove the religious persecutions and bloodshed that had marked the landscape of humankind for thousands of years. And this would happen once the Zohar’s rich and deep texts were made comprehensible to the common person. Max I. Dimont, in his book Jews, God and History, considered the role of the Zohar as a possible scientific catalyst. Evidence pointing to a kabbalistic connection with the likes of Sir Isaac Newton, Wilhelm Leibniz, and others had not yet emerged. Kabbalist Rav Philip Berg became director of The Kabbalah Centre, assuming leadership from his master and teacher Rav Brandwein. Rav Berg brought to fruition the goal of his teacher and his teacher’s teacher by publishing The Writings of the Ari and the Sulam edition of the Zohar in the 1970’s and 80’s. Close to three hundred thousand sets of The Writings of the Ari and a half a million volumes of the Zohar with Ma’a lot haSulam and Sulam commentaries made it, at that time, the largest production and dissemination of Zoharic and Lurianic Kabbalistic texts since the inception of the printing press and thus, in all of history. There are millions of sets of the Zohar currently in circulation worldwide. Learn more about how you can receive your free copy of the Zohar, here.